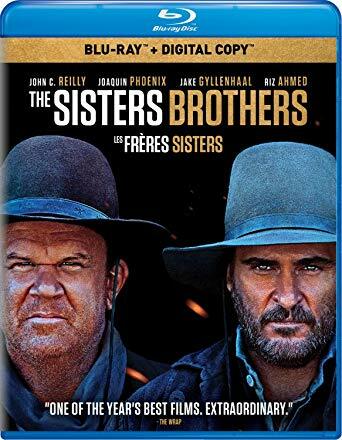 Based on Patrick DeWitt's novel, The Sisters Brothers revolves around the colorfully named gold prospector Hermann Kermit Warm, who's being pursued across 1000 miles of 1850's Oregon desert to San Francisco by the notorious assassins Eli and Charlie Sisters. Except Eli is having a personal crisis and beginning to doubt the longevity of his chosen career. And Hermann might have a better offer. I have come to the conclusion that I am not a western fan. I tried so hard to enjoy this film. It had so many elements that I usually love like plenty of killing action and fighting scenes. Still, it lacked for me. It had a brilliant cast of actors, Joaquin Phoenix and Jake Gyllenhaal were what attracted me to it in the first place. They just were not enough. As an avid reader, I am surprised I am not familiar with the book or author. I will have to check them out and quite possibly that will be the way for me to enjoy the story.